Many thanks to Cottage City resident Richard Cote and Christian our master gardener for building the new garden shed. The materials are being donated by Bladensburg business, Ernest Maier and Community Forklift in Edmonston. 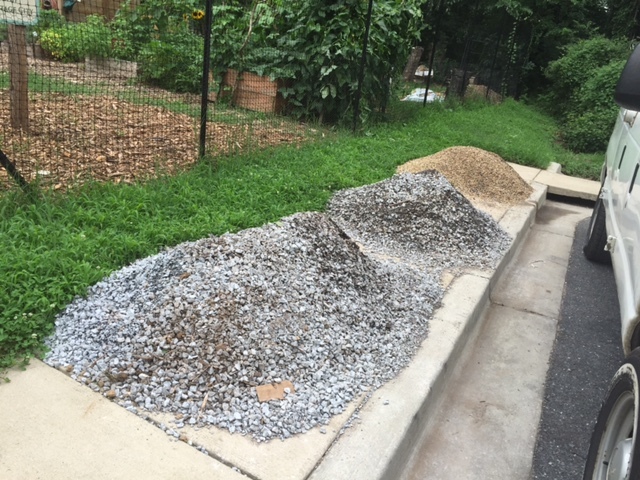 Many thanks to Mr. McCombs, the General Manager at Ernest Maier for the gravel and paving stones. Previous Previous post: Garden Session this Saturday! Next Next post: ​Port Towns Farmers Market Kick Off Party!